Three books with magic to uplift your summer reading, to inspire hope and lift you into a world of new possibilities. Books of fun, magic, and humanity. Summer is a magical time, and reading is one of its great pleasure. With my magic wand, I’m conjuring three novels to lift your summer reading onto a magic carpet. 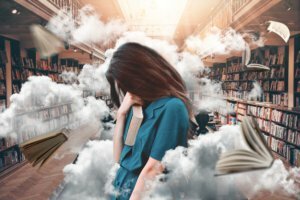 What makes us crave magic in stories? We want to be inspired, to hope, and to be lifted into a world of new possibilities. We want to walk a shimmering path to become more than we are. The very telling of a tale implies that we’ll be lifted out of our ordinary reality. Real life has magical moments too, but they’re few and far between. Without the guiding path of fiction, we might miss them. A novel’s magic lets us indulge in a childlike wonder while learning from the character’s journey. So here are three books full of wonder and hope. Mr. Penumbra‘s 24-Hour Bookstore by Robin Sloan. Just the word “penumbra” (the shadow cast by the earth or moon during an eclipse) is magical-sounding. Grab a copy of this fantasy set in our world and discover an underground library connected to Silicon Valley’s technology. The story is one part conspiracy, one part fantasy, and one part technology, with a dash of romance. The perfect elixir to intoxicate you into flipping the pages faster and faster. For me, a resident of the San Francisco Bay Area, it was fun to read about the setting of this mythical bookstore that reminded me of so many in the city—and one I’d love to visit. If only it existed. My rating: FIVE ENTHUSIASTIC STARS! Sometimes the magic is right here among us and we can’t see it. Another book I read without stopping was about a girl who has a magical ability that might not turn out to be the happiest gift. In Aimee Bender’s The Particular Sadness of Lemon Cake, a young girl can taste the feelings of the person who created the food she’s eating. You’d imagine that if she eats in the best restaurants, this could feel very nice—but of course, young Rose eats at home and learns about her mother’s difficult challenges and feelings as she struggles forward. Rose begins to want not to eat. Ultimately this aversion to other people’s food-feelings draws her to create food herself, and to use her gift for the sake of others. My rating: FIVE STARS ISN’T ENOUGH FOR THIS BOOK! I like magical realism better than fantasy set in another world. I find in real life magic enough, and so stories that t to do with the fact that real life has its magical dimensions and moments — moments of inspiration, transporting love, and heightened perception. Magical realism doesn’t put me on another planet the way fantasy does. 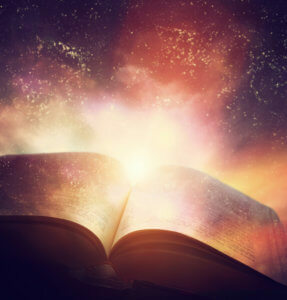 It keeps me on this one, and despite the chaos and destruction we hear about every day, this form of literature encourages me to believe in those magical dimensions I’ve experienced as being more important. It urges wonder and allows hope. Another magical book I recommend recently is Sarah Addison Allen’s Garden Spells. Folksy, small-town nostalgia is the atmosphere in this one, but who doesn’t love a magical garden with a magical apple tree? Bad things happen to good people, and each of the three sisters uses special gifts to work their ways through. The apple tree prophesies the future (nice evocation of the Garden of Eden), and that alone was enough to hook me as a reader. The story evokes wonder and hope. My rating: FIVE STARS. The magic is wondrous, the characters a bit thin, but the overall story will lift you up. We need wonder and hope right now, more than ever. They’re built into human consciousness. The headlines, which often seem to me the opposite of hope, send me more often to read stories that take me away, embody hope, and inspire wonder. A bonus book! 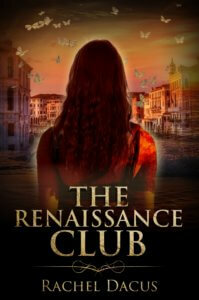 My novel The Renaissance Club uses the magic of time travel. The story takes young art historian May Gold down a path through time to meet her artistic idol in the 17th century, a journey that helps her overcome self-doubts and the opposition of her colleagues, to discover her creative potential and find the love of her life. If four magical books isn’t enough, check out these new books in 2018 with magic from BookBub. 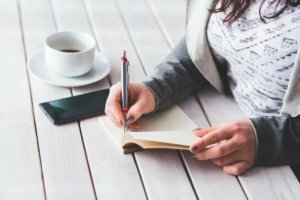 Do you have some favorite books with magic to recommend? Add them in the comments.